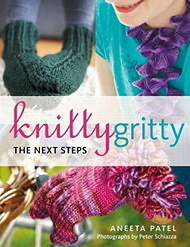 Got a Gritty Knitting Emergency? Knitting SOS - the REAL Fourth Emergency Service! I created Knitting SOS in 2005 as a free service for knitters in need of emergency advice. I feel strongly that sometimes a knitter will need a bit of advice to keep them going and I was keen to provide this as a free service rather than have knitters get 'stuck' and stop knitting for want of a little boost... so take advantage of over 35 years of knitting experience! 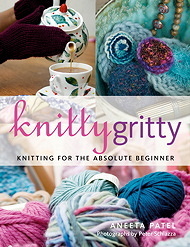 No need to book, just turn up and knit! If you don't have a project you are working on, there will be basic beginners kits for sale on the day, and plenty of help and advice available. Knitting SOS has gone global. I already have a knitting SOS-er in Australia - Caroline in Sydney. Now Knitting SOS has hit South America! I just had an SOS email from Gladys in Brasil! Hello Gladys, welcome to Knitting SOS!